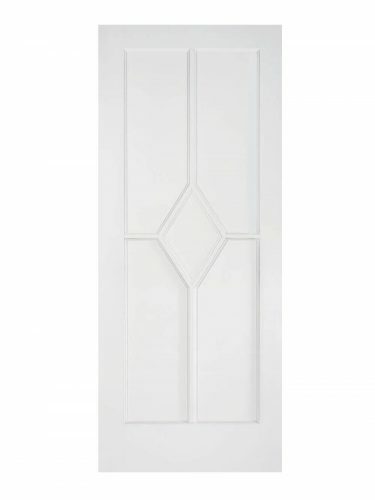 A solid door with a unique diamond shaped panel in this classical design. Available as a solid FD30 four panel Fire Door, and as a fully glazed door. Also available as a fully glazed pairs and room divider sets. White Reims. A unique diamond design is formed using decorative beading. This combined with the sophisticated white finish allows the door to appear traditional yet classy.